These are my favorite resources for writers. Many of them are products and services I use every day. Some are free, and many more are reasonably priced. Some of then are affiliate links, which means they earn me a small commission. So have at it! And let me know how they work out for you. Also, I’m updating this page regularly, so keep coming back. Freedom (affiliate link). They run specials all the time and it is really cheap to begin with. SO worth it. Check it out here. Brain.fm. Stick your earbuds in and find a focus track you like. Off you go. I love this site for helping me stay on task. Write or Die. This website lets you punish yourself if your keyboard goes idle for too long. A scary monster can appear, or, horrors, you can set it to start eating your words. Ack! Insight Timer. This is so useful for meditation and meditation is definitely one of those things that falls into the productivity category. It will help you write more, believe me. And it will help you in all aspects of your life. This little time is a handy way to get started–and keep going. And it’s free! Evernote. Everybody and their uncle uses Evernote, and I’ve shied away from it because I felt it unnecessarily complicated. But if I keep it simple, organizing everything into notebooks, I really like it. There’s a great web clipper that you can use to save pages. I use the free edition, but there are paid options with more benefits–which would probably just overwhelm me. OneNote. This was my go-to note organizer for a long time. But in the end, I quit using it because it became a bit too simple for me. I don’t like the recent updates much, either. I reserve the right to reverse my position about Evernote and OneNote, but for the moment, I’m happier with Evernote. I recommend trying them both and seeing which one you like best. OneTab. This is a free extension on Chrome that sorts all your tabs into one list. I have a terrible habit of opening a million tabs at once and with OneTab, all I do is click and they are gone, but not forgotten. Essential for right-brainers like me. Moleskine. I love these journals. Who doesn’t? I’m a betraying sort of journal user, always buying a different kind, but fairly often I go back to the good old Moleskine. Can’t beat ’em. Midori Travel Journal. These are great, too. They come in sections so you can swap out the separate journals. And, like the bullet journal (see below) you can drive yourself crazy looking at all the variations that are available. But they are useful for far more than just travel, and there are many inexpensive versions and lots of different sizes. Bullet Journals. A great way to get yourself organized. I’ve had varying luck with using one. As long as I keep it simple, it works great. Look around online and you’ll find all kinds of crazy, artsy examples! And you’ll know exactly what I mean by keeping it simple. Some of these people must do nothing but work on their bullet journals. But more power to them. Best Self Journals. This site offers a wide variety of journals and other products to help you be, well, your best self. Worth a look. Kindle Paperwhite. I read a ton of books in hard copy. But I also swear by my Kindle. I’m the kind of person who panics if I don’t have five books to choose from, so my Kindle is a Godsend when I travel. I’ve read Ebooks on the original, clunky Kindle, the Ipad Mini, and now the Kindle Paperwhite. I vastly prefer it. Optimize.Me. At the very least subscribe to Brian Johnson’s daily emails. But for a minor fee every month (I think it is now $12.99) you can get access to all his Philosopher’s Notes (like Cliff Notes, only of self-help, productivity, living well type books) and his Master Classes. So good. Danielle La Porte. She is famous for her book and program The Firestarter Sessions but she does all kinds of cool stuff and creates amazing planners every year, too. And, once you’re on her list, she offers lots of free stuff. Vellum. Creates beautifully formatted books, and it is easy and user-friendly. Alas, it is only available for Macs, and the creators have no intention of adding PCs to the mix. This is why I bought a Mac last year–to be able to run Vellum on it. Cover art. Streetlight Graphics is great. More coming soon. Your First 10,000 copies. Nick Stephenson offers extensive trainings on marketing your book. Highly recommended. Udemy. This site offers a lot of classes, of varying usefulness. Some are excellent. But I bought one that was a real stinker–the guy had just cut and paste from another class he’d created. However, the company refunded me immediately when I complained. Business Coaching. Anyone in the spirituality, healing, or energetics fields, you can’t beat the products and services of Anne Presuel. Publishing Coaching. If you want someone to guide you through the maze of self publishing, my friend Angela Sanders coaches writers on a very limited basis. Tell her I sent you. Writing Coaching. 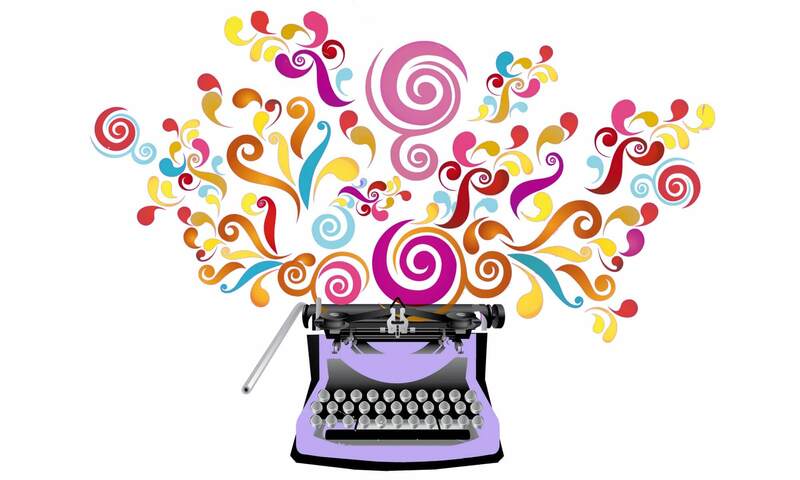 Of course, if you want a writing coach, I’m your woman! Check out my coaching page here and if you’re interested, email me and we’ll set up a time to talk. Oh boy. I could go nuts recommending books here. And I probably will over time! If you buy through these links, I get a small commission. Bird by Bird, by Anne Lamott. A classic. Most love, some hate it. But Anne Lamott is funny , encouraging and honest about the writing life. The Writer’s Journey, by Christopher Vogler. The most recent edition is extensive and exhaustive. But I love the old first edition. My copy is tattered and covered with post-it notes. Fast Draft Your Memoir, by Rachael Herron. This book truly is not just for memoir writers! I got so much about the writing process and helpful tips out of it. True confession: I’m on her advance review team, so I read a pre-pub copy. But I’m honor-bound to tell my true opinion! The Emotion Thesaurus, by Angela Ackerman and Becca Puglisi. Maybe you have the same problem as me–your characters tend to emote the same way over and over again. This thesaurus will help you find new ways for them to show emotions. Also check out all the other thesauri they publish. 5,000 Words Per Hour, by Chris Fox. He’s really good on publishing, too. (See below). The Artist’s Way, by Julia Cameron. It’s the best book on creativity, period. Big Magic, by Elizabeth Gilbert. Some favor this book. I was pretty meh about it, but maybe I should read it again. It gets rave reviews. Launch to Market, by Chris Fox. What can I say? I like the guy’s work. The Power of Habit, by Charles Duhigg. Fabulous book about how to change habits. You wouldn’t think this topic would be interesting, but in this author’s hands, it is! Writer’s Digest. The old stand-by. Especially recommended for beginners. Poets and Writers. Love this one. They have a great website too. A great way to support your favorite writers and artists. Rachael Herron. Rachael does monthly essays and also encouraging texts. Barbara Samuels Barbara does writing exercises, prompts, and discussions. RWA. Romance Writers of America. For “career-focused” romance writers, a very effective and helpful group. WFWA. Women’s Fiction Writers Association. Relatively new, this group has grown exponentially lately. Sisters in Crime. A ground-breaking organization for women mystery writers. Okay, I’m biased here because this is my sister’s work, but I think these images would add a soothing touch to any home office.